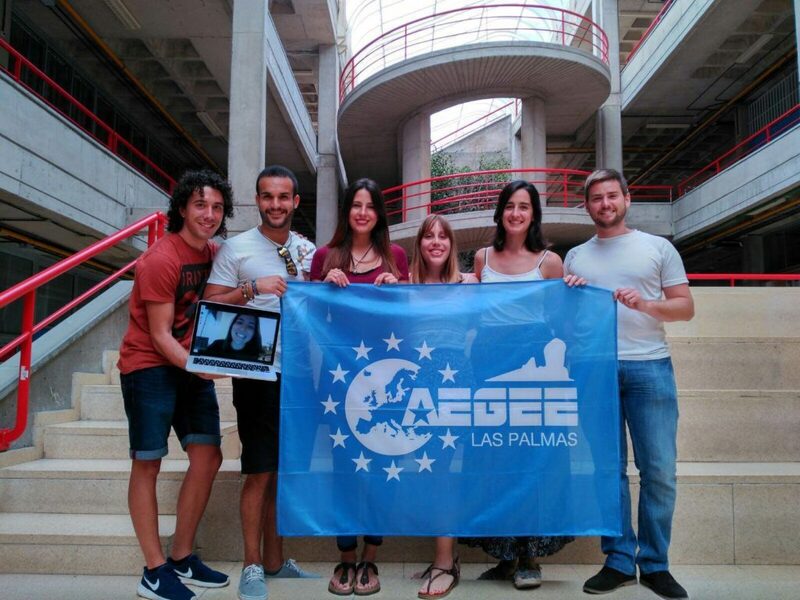 How European do people feel in Las Palmas, Porto, Helsinki or Saint Petersburg? How do the AEGEE antennae in these cities cope with the fact that they living on the edge of Europe? The Golden Times asked several antennae which challenges result from the geographical position – and whether there are also benefits. 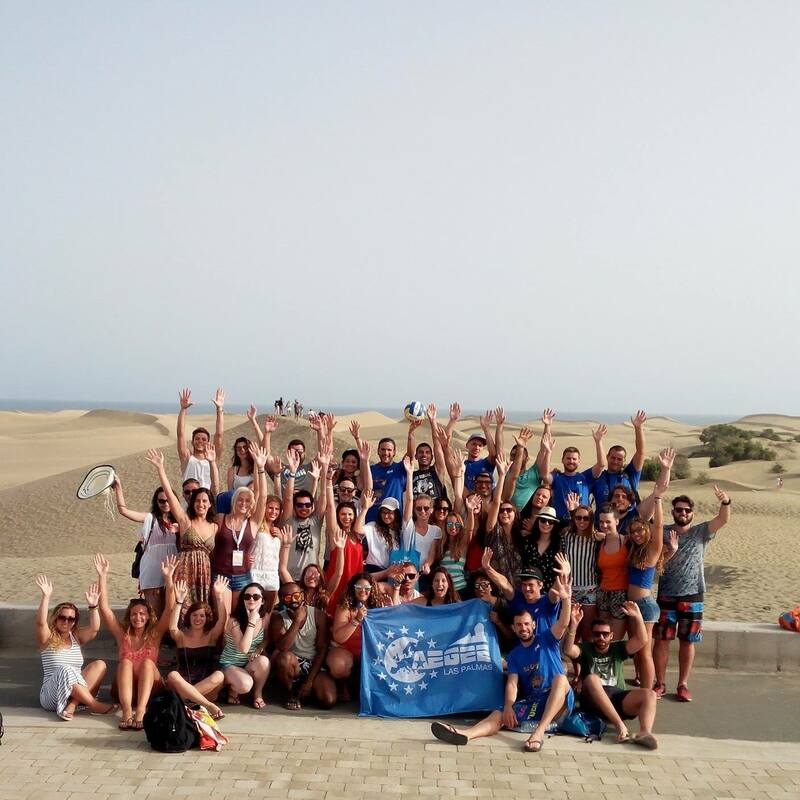 In the first part of the series “Living on the edge of Europe”, Silvia Herrera Ojeda, President of AEGEE-Las Palmas, reports from the beautiful Canary Islands. Silvia Herrera Ojeda: We are approximately 80 members in our antenna. Firstly, it was founded in 1991, but stopped its activities in 2000, due to lack of members. In 2007, it was re-founded. Silvia: Honestly, not very much. “Europe” seems to be quite far away and still not that accessible even though the government helps. It is cheaper to go from Madrid to anywhere in Europe – for around 20 Euros – than from Gran Canaria to Madrid – for around 30-50 Euros. Silvia: Yes, it is quite hard to find new members, especially members who are then active at the local level. We used to get one or two dozen new people for the Summer University campaign, but in the last year we are also struggling in this regard. Prices have increased and the university has become tougher when it is about attendance. Silvia: We all know that we are far away and it is a reality, but we tell them that it is totally worth it. We tell them that it will not only be a great, fun experience but also that they will learn what the university doesn’t teach them, they will experience non-formal education. The fact that they will travel alone to meet people they don’t know and live together for a few days or even two weeks, this experience, is what at the end calls them. Silvia: Way too much. We don’t even consider going to these places with direct flights. Normally, Canarian people fly to Ryanair destinations such as Düsseldorf, Köln, Milan, Bologna, Krakow and a few more strategic cities, which are sometimes even cheaper to reach than stopping in Madrid. These direct flights, depending on the dates, can be really cheap, like 60 Euros two ways, but it can also reach something like 200 Euros. 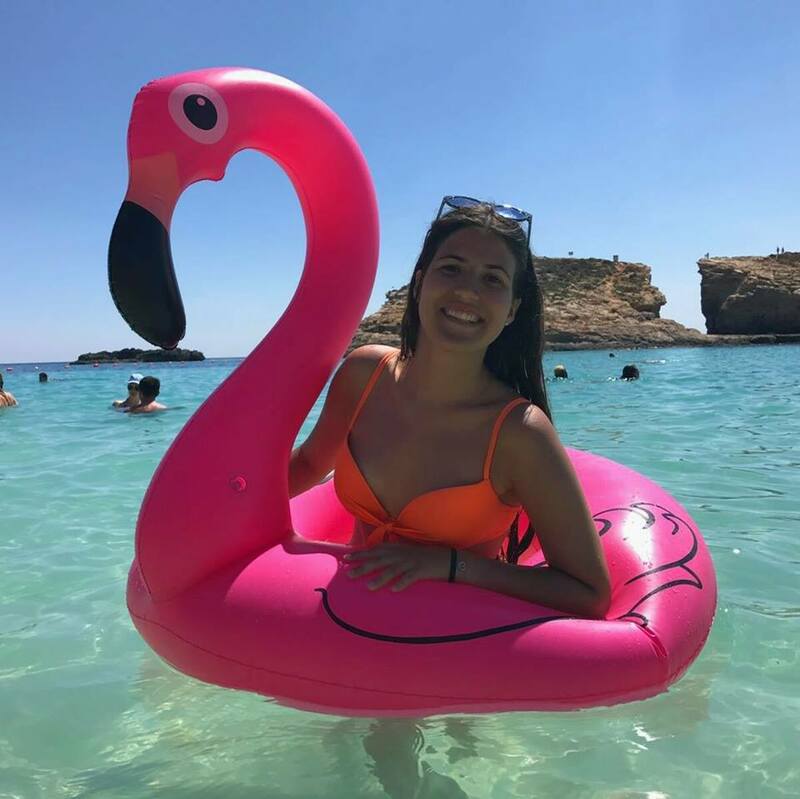 Silvia: Gran Canaria sounds super exotic for those living in the mainland. And if you add the open Atlantic Ocean, mild temperatures all year long as well as the amazing flora and fauna, then it sounds even more attractive. Also the fact of being a touristic region has made it possible that locals get to know people coming from all over the world. This fact has made the character of the Canary islanders to be open-minded and tolerant. Our geographical situation is also remarkable. The Canary Islands are a connection point for three continents: Europe, Africa and America. Among our people you can find almost every nationality in the world. Locals and foreigners live together and no significant xenophobic acts have ever emerged. Silvia: In 2017 we worked really hard and managed to make the Summer University Project School in February with 25 participants, the Summer University 2017 with 35 and the New Year’s event with 31 participants. So I could say around 80 foreigners attended our events last year! Apart from the ones who fall in love with our island and come back! 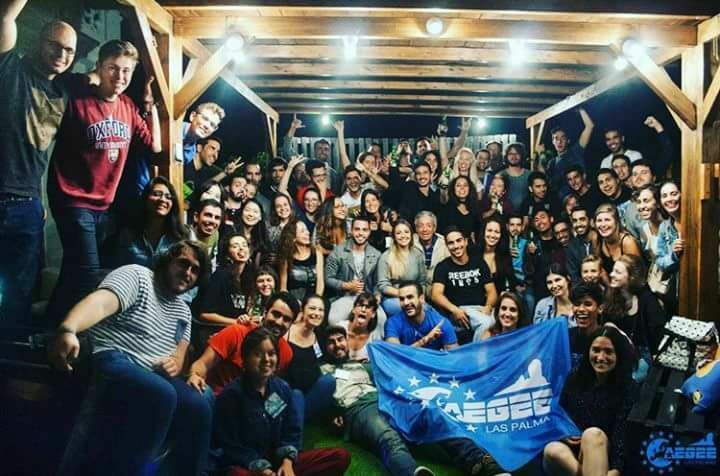 Silvia: In 2017 we did not cooperate with any other antenna, but for 2018 we are planning some activities with AEGEE-Tenerife! It is a pity that until now we haven’t done anything together even though we are so close! This is why we want to strengthen our relations! Silvia: We are still planning the events for this 2018, but for sure we will repeat the New Year’s event as it was a total success! Silvia: Yes, our ultra-peripheral location entails a series of disadvantages when it comes to reaching Central or Eastern Europe. We always have difficulties on finding suitable members willing to pay such high prices for the tickets for such a short period. 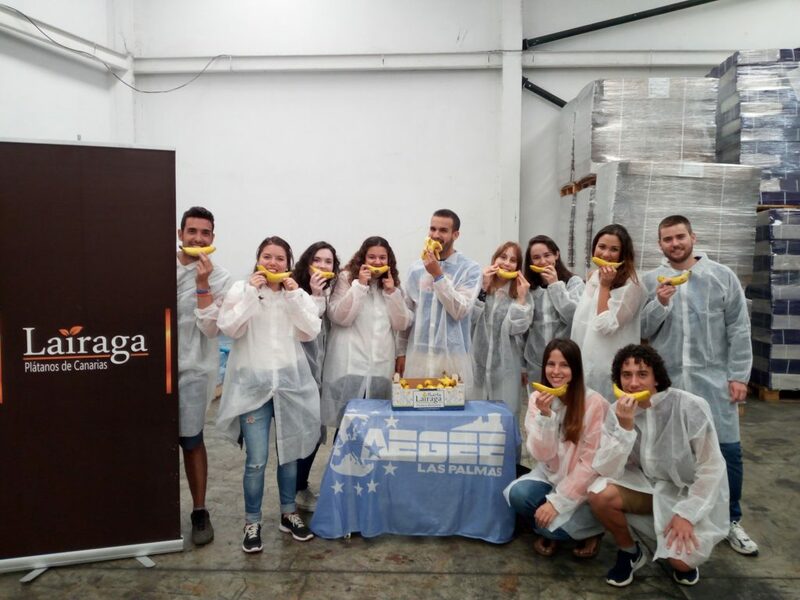 Otherwise, we and all the participants who come, really enjoy our unique climate, people’s character, colorful traditions, breathtaking landscapes, mixed culture, music and gastronomy and everything else which our strategic geographical location has made possible.